Suspended from its 34-inch long gold chain, Sunkissed amulet is adorned by gems of aqua and peach, and bright turquoise crystals. Use the toggle & ring to fashion a shorter 17-inch necklace. The beautiful bejeweled earrings are replicas of the pendant. Rings: Margarita, Alice. Bracelets: Hi Style, Marley, Now-green, Soho, Signature in topaz & green. Layer with: Ocean treasure, Spanish Riviera. 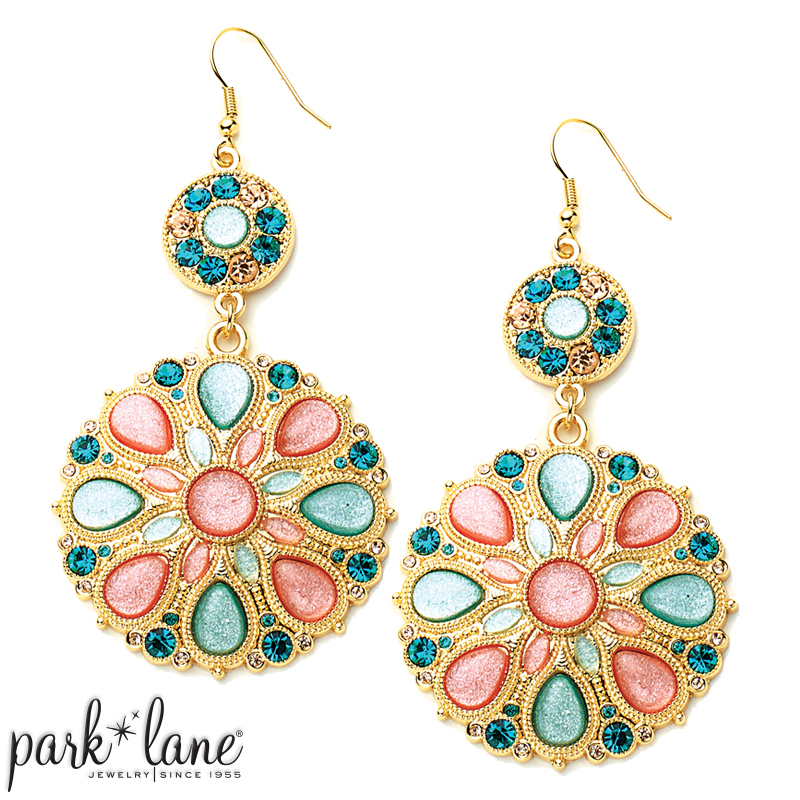 Earring options: Bohemian.